Another research says that 76% marketers would like to create more content next year. Social media has become a major traffic generating source in recent times, so look from the Social media perspective too. Well written and unique contents have a tendency to be shared in social media in a very quick span of time. Your content should convince readers to read it fully because that is when the chances of sharing your content in (Facebook or Twitter) are maximized. Nobody would share a post which they themselves have not read fully. With 94 % score Facebook remains the most popular platform to target in the eyes of content creators. Here I will break down a content into parts and explain how to make every part more interesting and attractive in the eyes of the readers. 1. A glimpse of what your content is all about. 2. 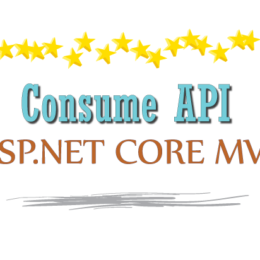 Provide a message that the solution to a problem is mentioned in the content. 3. Something which users did not know and is connected with your content. Tests done at Upworthy website shows the traffic vary by 500% by a great headline. Consider if you have a 100+ articles in your website then think what significant change of traffic you will witness by having great headlines for each article? Related article which can’t be missed – Duplicate Content Check factor in SEO. In the below section I will explain how to create Great headlines for your content. The first thing is to come up with some headline ideas. For this, you can use BuzzSumo which is a very good tool for this job. It will show you tons of headlines for a keyword. 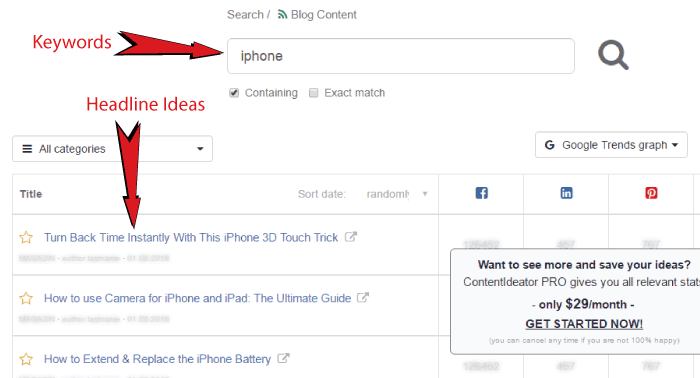 For example when searching for iPhone I received hundreds of results showing what people are writing about iPhone. Do not copy the headline exactly, only take ideas from it and make your own headline which is better than what others are writing. Portent Content Idea Generator is another great tool which creates very catchy headlines. In this tool, you provide the subject (main keyword) and it generates lots of great headlines. 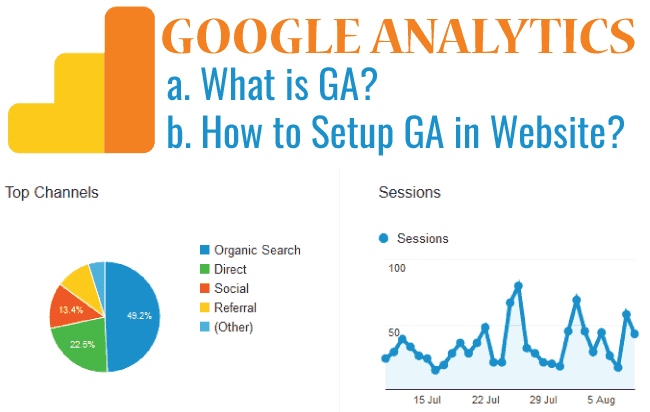 Do you know that Backlinks is the top most factor to get high ranks in Google searches. 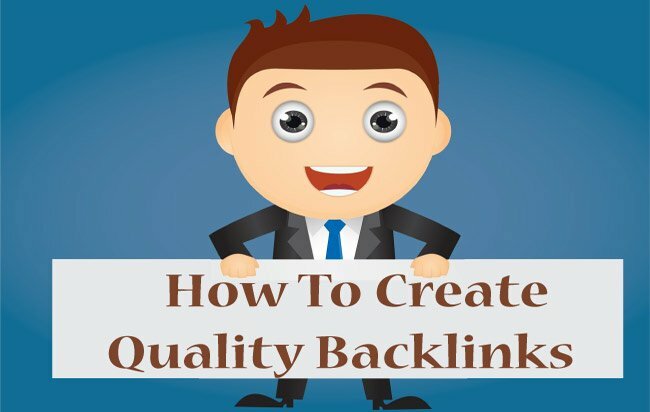 I have listed top website where you can easily get high quality backlinks to your site. Like I said before, use these generated headlines as an idea only and develop your own headlines which are even better. Once you have created your headline don’t forget to test it against a variety of viewpoints. Use CoSchedule Headline Analyzer to analyse the overall structure, grammar, and readability of your headline. 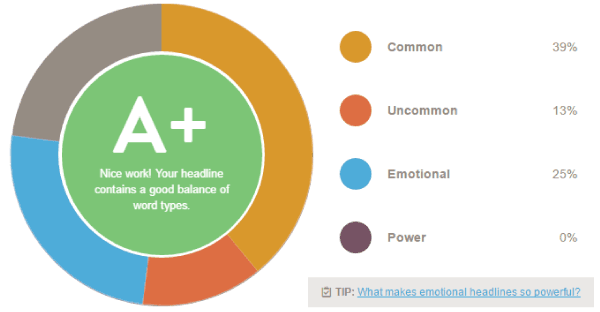 It will also provide your headline a score which tells whether it is good or bad. 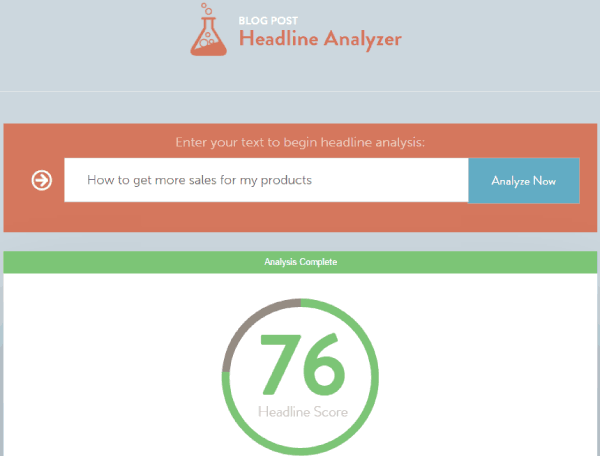 I tested my headline – How to get more sales for my products on it and received a good score of 76%. A good headline should get a score of over 70% and you should always try to achieve this score for your headline. Let me tell you that there is no hit & try method to get a good score. A good headline should have a good combination of “Common”, “Uncommon”, “Power” and “Emotional” words. I will explain what these words means one by one. Common Words – As the name suggest these are the words which we commonly use like “as”, “a”, “to”, “my”, “we”, “for”, “how”, “get”, etc. They should make up 20% to 30% of your headline. Uncommon Words – These are those words which are used less often. Examples are “more”, “weird ”, “philias”, “ultimate”, etc. They should be 10% to 20% of your headline. Power Words – They cause an emotion and are attention grabbers. They are most successful in getting user clicks. Try to have at least 1 or 2 power words in your headline. Examples of power words are shown in the image below. Emotional Words – They forces audience to read your post and also have a tendency of getting shared on social media. Try to have 10% to 15% of these words in your headline. Emotional Words are shown in the below image. It is the fact, that everyone cannot become great writers, but anyone can write a great content. If you are able to achieve better communication with your readers then consider your work is done. Before writing about a topic you should do a thorough research of the topic. This will give you knowledge about a whole new sub-topics and related topic, which you can describe in your content. Even a two hour research will provide you substantial information to write about. 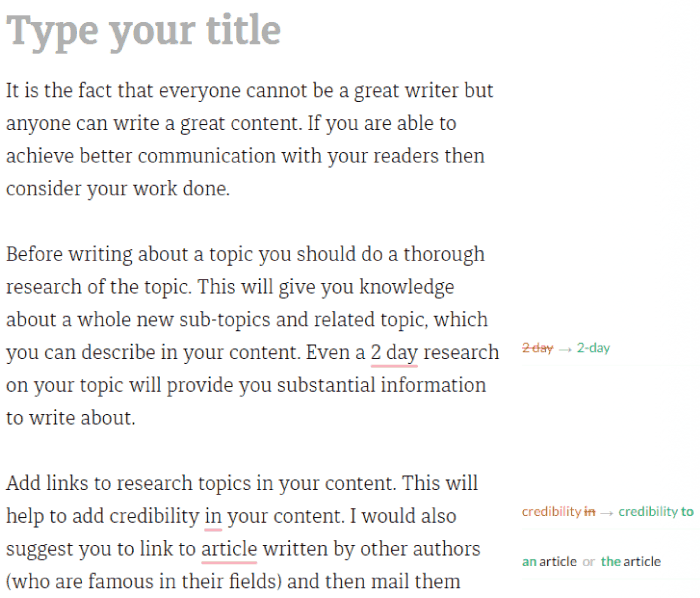 Add links to research topics in your content. This will help to add credibility to your content. I would also suggest you to link to an article written by other authors (who are famous in their fields) and then mail them asking for a link back to your content. If they like your content, then they will definitely link back to you. 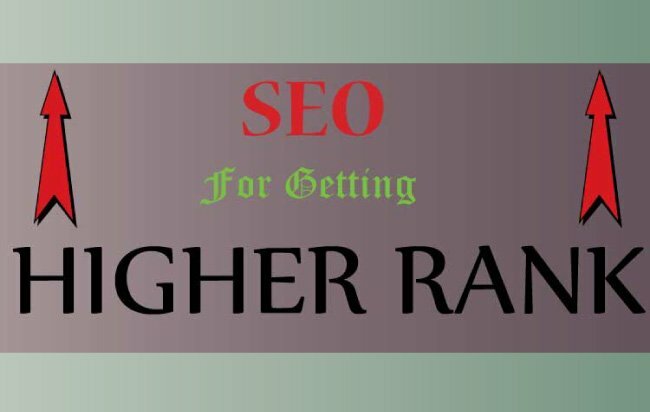 Getting backlinks from other high-rank websites gives a big boost to your website rankings in SERP. This thing you should always explore. Most of the time you do not know whether your content is written in a clear, easy and understandable language. You come to know about these problems when somebody points out them. Then you waste a lot of time in correcting them. Such problems can easily lead to loss of over 80% of the audience who will be leaving before reading your full content. 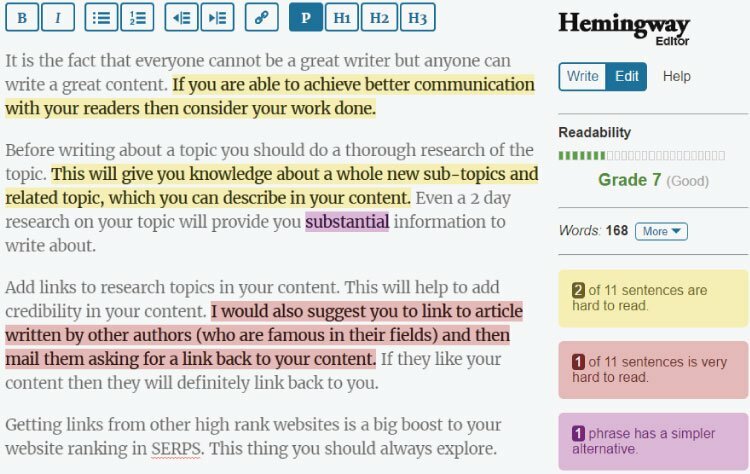 Luckily you can find out the entire unclear and uneasy sentences, in your content, using Hemingway Editor. I posted my 168 words text to it and it pointed out 2 sentences in yellow color that are hard to read, 1 sentence in pink color that is very hard to understand and 1 word in purple color which has a simpler alternative. I still got Grade 7 which is very good, and by correcting all these problems I can score much better Grade. This will help in making my content much easier to understand for my readers. Grammarly is another tool that helps you find and correct the grammatical and spelling mistakes from your content. But first, you have to create your free account, and then can start correcting your mistakes by either pasting or uploading your content to it. Grammarly does a much better job than MS Word’s grammar and spell checker. The free account works great and can be upgraded to premium account for unlocking premium checks. On pasting some part of my content I found some mistakes revealed by Grammarly. The below picture shows these mistakes. 1. 90% of the information the brain process is visual. 2. The brain processing speed of visuals is more than 60 thousand times faster than that for texts. 3. According to Xerox Study, colored visuals increase people’s willingness to read a content by 80%. 4. Neil Patel study says the contents with relevant images get 94% more views than those without relevant images. You now know how important visuals are for your content but since many of us are not designers, who can make visuals in Photoshop, therefore my focus will be to share some great tools that help you to create excellent visuals within minutes and free of charge. 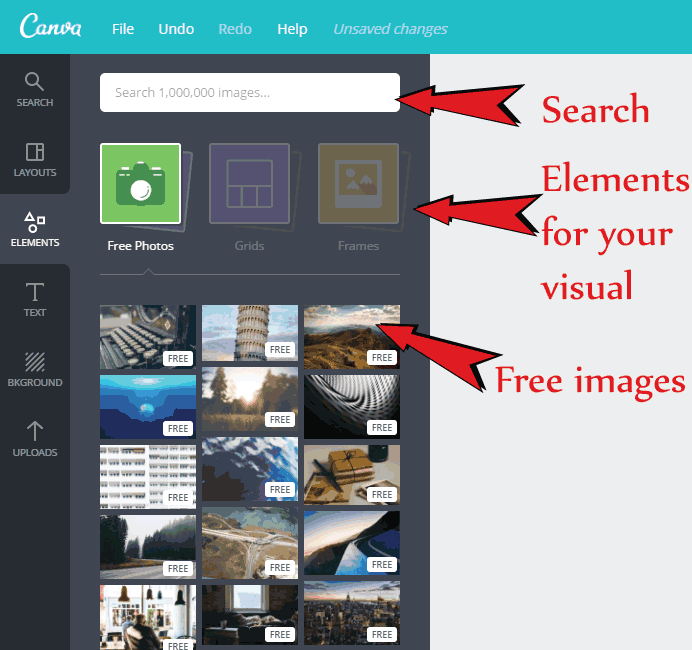 For bloggers who have little to no knowledge of Visual creation, can use Canva for creating free visuals for their contents. Start it by creating your free account in it. Then choose a layout for your image. Into this layout add different elements like image, grids, frames, shapes, lines, illustrations, icons and charts. It’s drag and drop feature is very simple to use, letting you adjust the elements into the way you want. The search feature is quite useful to get over 1 million images and elements that you can use in your visual. It also has options to use premium images provided you buy the licence for using them. 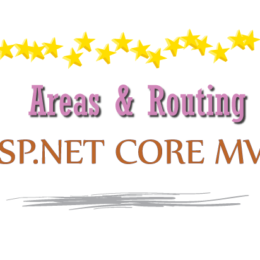 I used Canva and within 5 minutes I created a good visual for my next content. It has everything, a good image of a girl writing on a notepad, with a binocular illustration and a text, a circular shape which contains a brand name and a red line. The possibilities are unlimited in Canva and you can create any type of visual you have in mind. If you have too many images which are taking lots of space then you can use image sliders. These show them in the same place, one at a time and save a lot of space. These sliders slide the images from left to right or top to bottom after ever few seconds. WordPress site users can have a look on my article on Meta Slider which explains how easily you can build and use image sliders free of cost in your WordPress websites. Those who have websites in other platforms can use Jssor for creating sliders. Thinklink is an amazing tool which every blogger and content creators should know about. It create images differently, I would say totally differently which you can’t imagine. 1. Putting not just one but multiple links in the same image. 2. Hovering on different parts of an image shows different images, videos and maps. 3. 360° images and videos. 4. 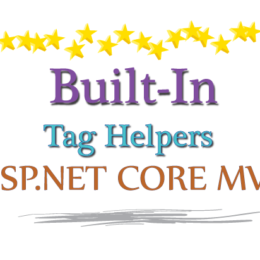 Embedding maps, audios, social media and over 70 call-to-actions tags. 5. Super duper image animations. All these and much more are provided by Thinklink, and you can use these in your content to improve your reader’s engagement rate. 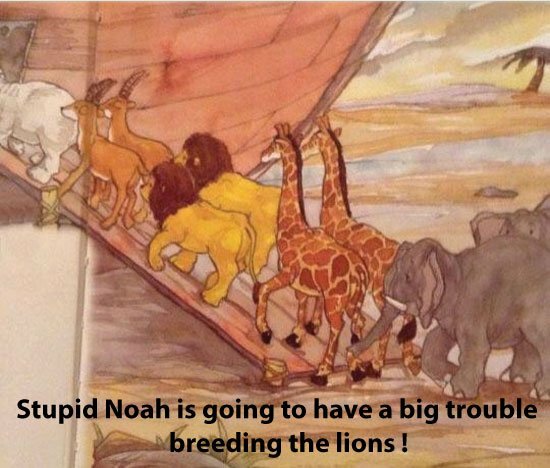 You can also add these interactive images to your Facebook post. A meme is just a captioned photo that is funny. 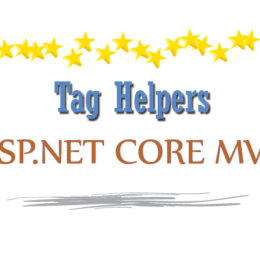 They are rapidly shared over social media and are very easy to make from places like Meme Generator. 1. Animals saying human things. 2. Babies saying adult things. 3. Anything related to cats. 4. Popular quotes and punch lines. 5. Saying from popular movies or television serials. 6. Photos of Lincoln, Donald Trump and Michael Jackson with some funny and interesting quotes. Always make a good, interesting and related meme which people love to share in social media and that will bring you great traffic. For those who have come across the term Infographics for the first time, let me explain you in short what it means. Infographics is a graphical representation of data so that it is easily understood at a glance. The graphics of Infographics includes bar graphs, pie charts, histogram, tree diagrams along with other visuals to make it more interesting. It is one of the most powerful medium to communicate more easily with readers. Today more and more Infographics are used in for content marketing. Eye tracking Studies reveal that internet readers pay close attention to images and also spend more time looking to them than they do for text. Even more interesting is one study which states that Infographics are shared 3 times more on social media than other contents. But the question is how to create Infographics when you don’t have graphics skills? Luckily I have the answer in the form of Piktochart. It makes it possible for everyone to create and use Infographics for free. 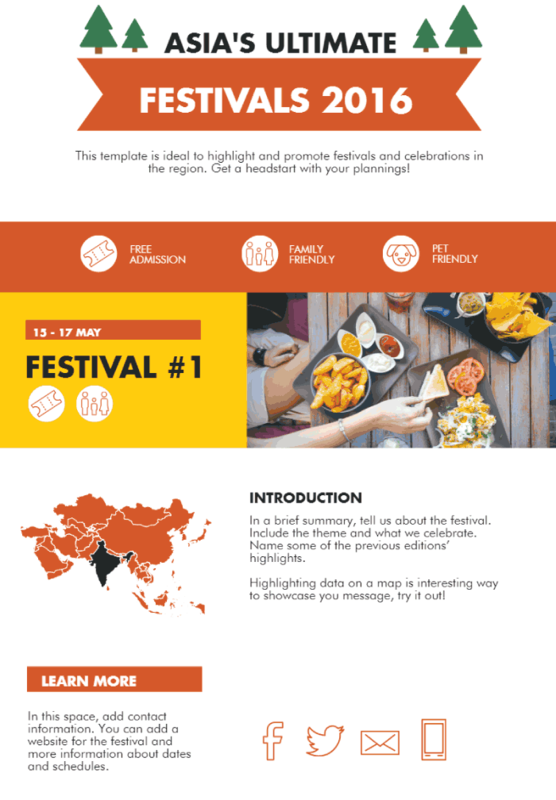 It is very easy to use and create your own Infographics in Piktochart. First you have to select a template and then start adding your text and images. 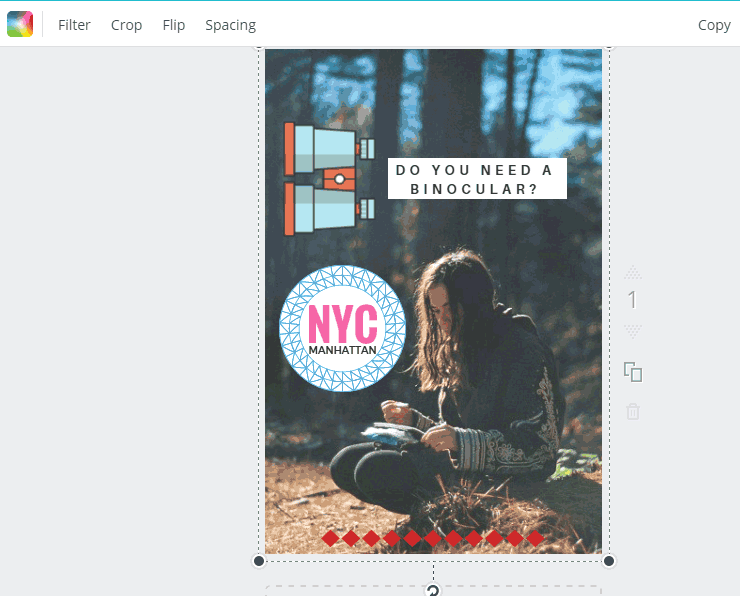 You can use Piktochart’s millions of images, icons, shapes and photo frames. Drag and drop the items, adjust their sizes, rotate them and do all the necessary steps. Once your Infographics is completed you can download it and use it in your content. World famous content creator and Entrepreneur Neil Patel says that he spends $1 K for creating every Infographics. Certainly, not everyone can spend such big amount and tools like Piktochart are very useful for this. One such Piktochart template, I am sharing with you, is given below. Video is powerful medium to catch user’s attention and its combination of sound, motion and visuals helps you to build a deeper relationship with your audience. 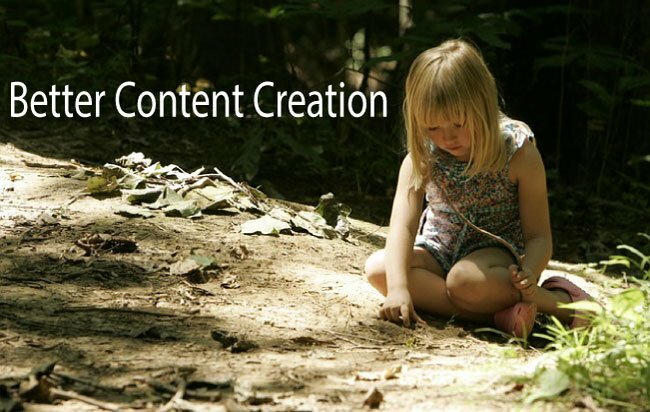 It is always fruitful to put related videos in your content. Search engines prefer to give content, with videos, higher rank than those without it. Youtube receives more than 1 billion unique visits per month and Cisco predicts that by 2020 video will account for 69% of Consumer Internet traffic. This below video will explain some of these facts to you. I would suggest you to put a related video into your post. Even if you don’t make videos, you can simply embed a related one from Youtube or Vimeo. We tend to forget important point every now and then and this decreased the quality of our content. This happens mainly when writing long contents. 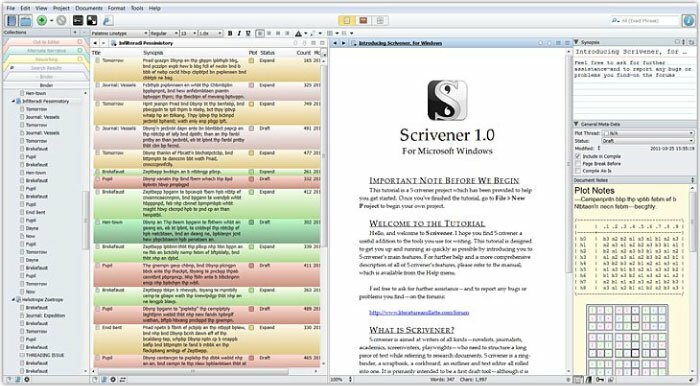 People writing long contents can use Scrivener that manages the different areas of their content and also take notes of points they have in their minds. It is used by writers, novelists, technical writers, lawyers and people who spend lot of time creating long to very long contents. It is divided into multiple sections where you can make notes, rough draft and do other things. The final content remains on the right side. Although it comes for a price but certainly is very useful for you. 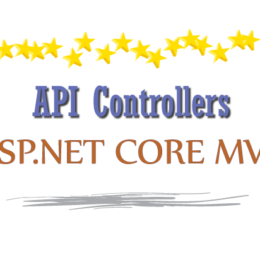 It is also available for download on Mac and Windows based systems. We all want to produce the best content for our readers and I hope this article will help you in this directions. You should try all the things as I told in this article and I am sure these will make a big difference. Please share this article in your social accounts to spread it to more people like us.